Just few days to go until Iceland will turn up into a huge international music feast thanks to Iceland Airwaves festival . Therefore I aimed for listening through the line up. Which turned out to be a high-level objective as there are gonna be 290 and more bands performing in Reykjavík in official locations and a lot of off-venue events. So, I decided to solely listen to Icelandic acts. Considering the amount of bands, ensembles, singer & songwriters, choirs and what not in Iceland seems inexhaustible. So, still remained an ambitious goal. You need to know, that Iceland has a total population of 328.000 inhabitants, … sometimes you can get the impression they have as many artists. The musical diversity coming from this island is really smashing. I gathered my favorite tracks together on Deezer under the title “Íslands spilunarlista” (Icelandic playlist). Here you’ll find the shortened version. 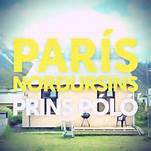 París Norđusins – Prins Póló When they sing of the “Paris of the North” Prins Póló of course mean Reykjavík. This is the #1 hit in Iceland and at the same time soundtrack for a movie of the same name. It sounds fluffily and amusing, but has serious lyrics. Nótt – Samaris Incredible young trio which produces such mature electro music one can only wonder. Located somewhere between a young Björk and a mystical Icelandic lyrics whispering and breathing elfin Samaris make it a bliss to listen to them. I can’t wait for new tracks. Kill my darling – Oh Land Celebrated Newcomer with quaint lyrics and catchy lyrics. Her chant in her electro pop sometimes helps itself by copying Sia, but then the music develops an attracting power and diversity it persuades you again. Hearts– Young Karin One can think Young Karin is just another sweet teenage pop ensemble, but there is something severe in the way Karin Sveinsdóttir is singing honey-like lyrics. Let’s wait and see how this duo will develope! Minnist Tú – Byrta My first thought while listening to this band was “The titles look Icelandic, but what the hell is she singing?” It was no Icelandic, for sure. Then I convinced myself the songtress must be Indian and somehow is weaving some Icelandic words into the songs. But I was totally fooled – she is singing Faeorese. A language and a band really worth to be experienced. To Tha Rim – Cell7 Icelandic-Fillipino chimera of wannabe Missy Elliot and M.I.A. which really reminds me of the sound of the U.S. rap style from the 90’s. I actually enjoy this style, although it’s sometimes weird if you picture what she is rapping about while being situated at the end of the world aka. Iceland. Á menđan ég er ungur -Úlfur Úlfur Speaking of rap, here’s a gang which raps in Icelandic. As funny as Icelandic sometimes sounds when sung it has its charm as a rap language due to its softness and harshness at the same time generating an interesting rhythm. Háa C – Moses HightowerIcelandic bands often have a short best-before-date as they either vanish totally or morph their cast after a short time. Moses Hightower established in 2007, however isn’t one of these short-lived bands. And it seems that their deeply relaxing Icelandic soul and jazz music is getting better and better with every year. Ain’t got nobody – Sísý Ey One of my favorite songs on this playlist. I can listen to it for hours and still I’ll find something new in it. Incredible deep song. I must admit at first sight this might appear as a simple techno song, but let it fully unfold in your ears, you’ll see what it’ll do to them. Ég bíđ þín – Vök This bloody young band won the Battle of Bands in Iceland 2014 and perform both in English and their mother tounge. 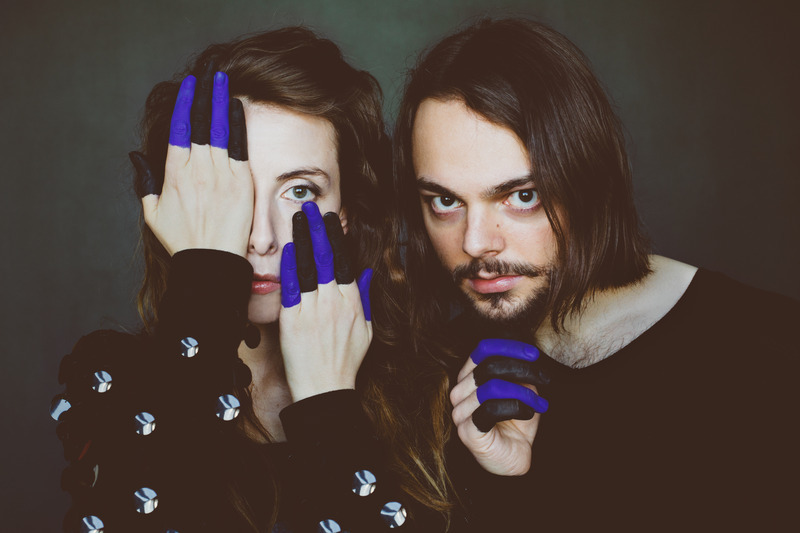 Their English songs sound a bit too conventional and ordinary, but their Icelandic pieces are more interesting and seem to be the authentic side of them. This song is really sensual and soothing. 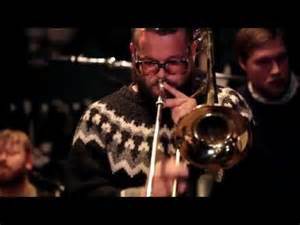 Èg teikna stjörnu – Hjálmar – Reggae from Iceland sang in Icelandic, stiffly performed while packed in Icelandic wool pullovers – what else is there to say? Priceless musical blend and yet so relaxative. You have to hear this!